CsCl transparent ceramics were prepared by the spark plasma sintering (SPS) method, and their optical, scintillation, and dosimetric properties were investigated. 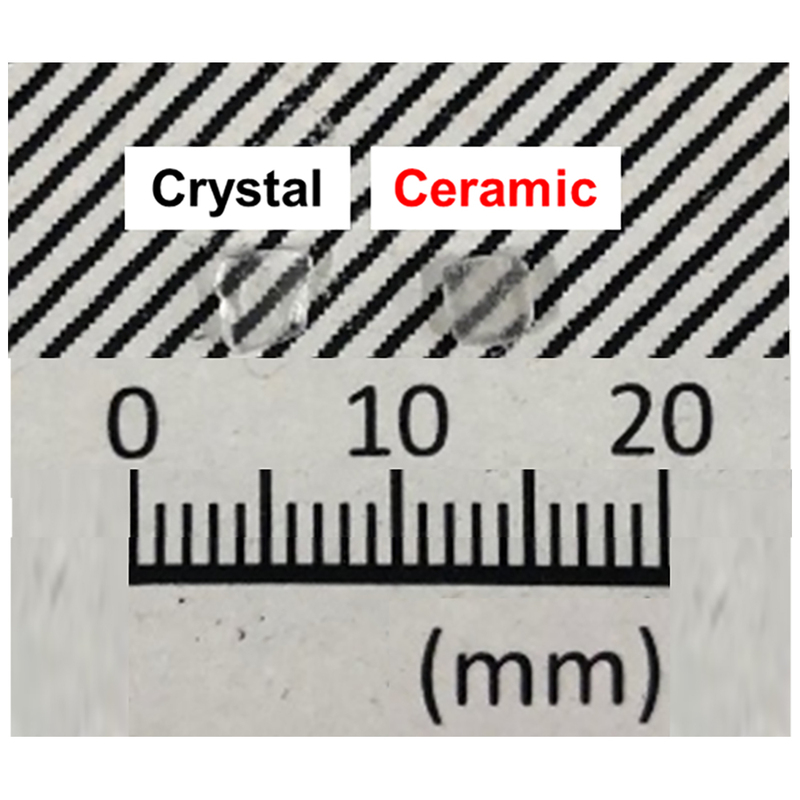 To evaluate the potential of the transparent ceramics, a CsCl single crystal was prepared by the vertical Bridgman–Stockbarger method. Regarding the luminescence properties, the vacuum UV (VUV)-excited photoluminescence (PL) and scintillation spectral features of the transparent ceramics were similar to those of the single crystal. Concerning the thermally stimulated luminescence (TSL) properties, the minimum detection limit of the transparent ceramics was 0.01 mGy.